Police are looking for a man who stole thousands of dollars worth of merchandise from a Central Islip Target. Central Islip, NY - August 8, 2014 - Suffolk County Crime Stoppers and Third Precinct Squad detectives are seeking the public’s assistance to find and identify the man responsible for stealing thousands of dollars of merchandise from a Central Islip Target. On Tuesday, August 5, at approximately 2 p.m., a man entered the store, located at 160 North Research Place, Central Islip, and loaded up a cart with Crest Whitening Strips, Crest Toothpaste, Allegra D and Rogaine. The man then exited the store without paying for the items worth approximately $2,500. He loaded the items into a car that was driven by an accomplice who was waiting outside the store. The suspect is described as a black male, medium complexion, approximately 35 to 45-years-old, between 5 feet 7 inches to 6 feet tall with a medium build, black hair, beard and a mustache. He was wearing a white long sleeve button down shirt and jeans. The car he fled in was a white four-door sedan, possibly a Toyota with dark tinted windows and a spoiler on the rear trunk. Similar thefts and attempted thefts have occurred recently involving the suspect and vehicle. 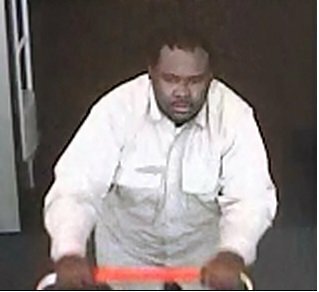 Subject: LongIsland.com - Your Name sent you Article details of "SCPD: Man Wanted for Stealing Thousands in Merchandise from Target"